There are many circumstances where we need to find out if something is a member of a set, and there are many algorithms for doing it. For example a spell checker checks to see whether a given word is in the dictionary. Holding 250,000 words in memory for a spell checker might be too big an overhead if your target environment has low memory. Take a big array of bits, initially all zero. Then take each word from your dictionary of words. Produce ‘n’ independent hash values for each word. Set the bit positions of the array at the corresponding hash values. Sometimes there’ll be clashes, where the bit will already be set from some other word. This doesn't matter. Produce the n hash values of the given word. Then check to see if each of the bits corresponding to these hash values is set. To find the hash values, MD5 algorithm can be used. 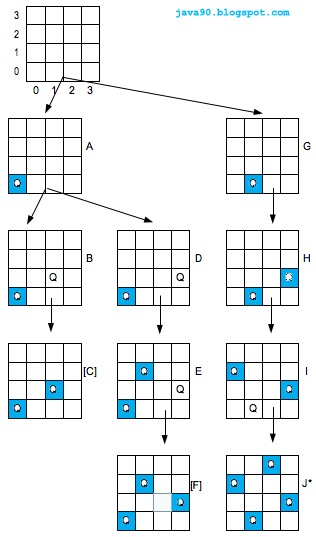 MD5 algorithm produces a 128-bit (16-byte) hash value and then take smaller hash values by extracting sequences of bits from the result. Example : To store the word "computer"
Taking 3 digits from the hash value, bit positions 296, 852, 903, 797, 016, 122, 161, 588, 463, 667,493, 754 and 506 needed to be set. Implement the Bloom filter to test whether a given word is in a set or not. A set of terms are given in the file "terms.txt". Great tutorial. Am looking forward to using this to develop my own spell checker in java.